Microsoft’s Windows 10 comes up with many exciting features such as Cortana Personal Assistant, new start menu, Action Center and a new web browser named Microsoft Edge. To get the most out of Windows 10, there are some default settings you should change immediately right after the install to get the best user experience. Note: All screenshots shown in this post are taken from Windows 10 Professional build edition. Step 1. Tap/Click on Start menu and search for settings and then press enter to open it. Step 2. The settings window will be opened. Click on Apps. Step 3. Click Default apps from the left side. Step 4. Scroll down to look for ‘Web browser’ option. Here, you will see ‘Microsoft Edge’ set as default web browser. Step 5. 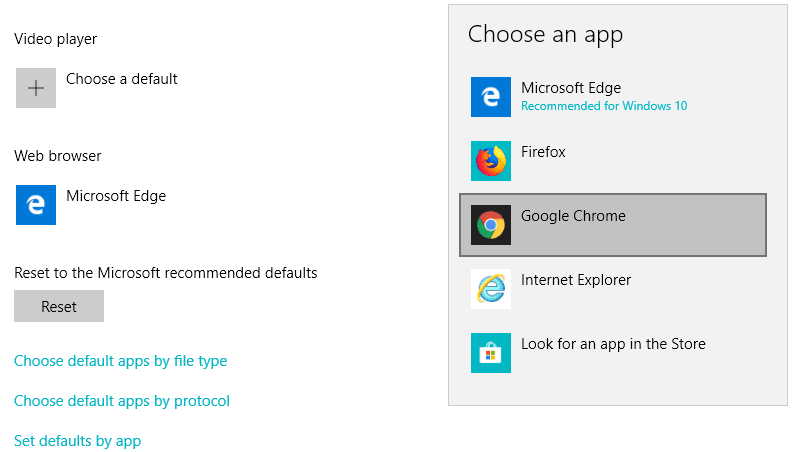 Click the Microsoft Edge and select the browser which you want to set as the new default browser. Windows 10 has a system recovery feature similar to the previous versions but Microsoft has disabled this feature by default. Restore point allows you to revert back your system to an earlier point if anything goes wrong while installing updates or a new software. Follow the instructions below to set up a system restore point. Go to the start menu and search for system restore and open the option Create a restore point. Select your system drive which is usually your C: drive. Click the Configure button. Check the radio button- ‘Turn on system protection’ option and under Disk Space Usage, set the Max Usage slider to 5 %. 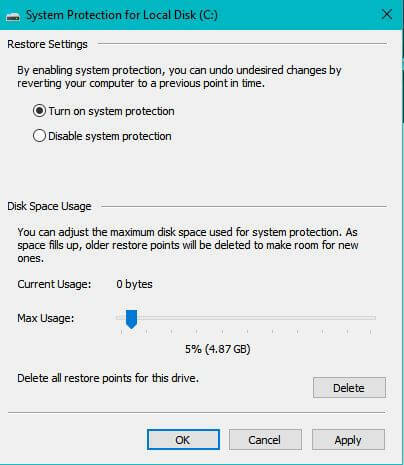 Generally, 5-10 % space of your hard drive is sufficient to store restore points. Click Apply and then Ok. It will enable the system restore. Return to the previous dialog box and click on Create to create a restore point instantly. 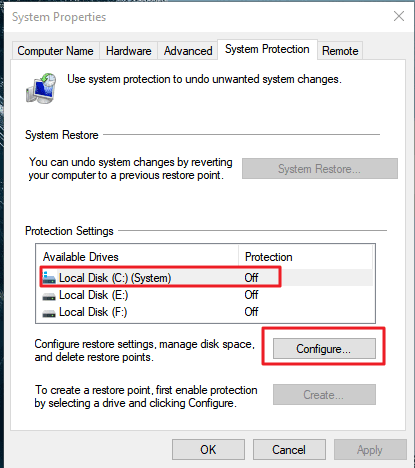 Note: In future, if you want to revert your PC back to the previous restore point, click on the System Restore button in the System Properties dialog box. Windows 10 automatically downloads and installs updates whenever available to keep our PC secure and up to date. In Windows 8 or 8.1, users can disable automatic updates from the Settings app itself however in Win 10 there is no option to disable them from automatically installing. Windows download these updates in the background and could keep your computer and Internet slow if you have a low-spec PC or a limited broadband connection. So, how to disable automatic updates? Well, there are some methods to disable them. Read this article to turn off automatic updates in Win 10. If you don’t have a problem with the installation of automatic updates, then you can consider disabling automatic restart. By default, Windows 10 reboots immediately whenever an update is installed. You can schedule automatic reboots by following the below instructions. In the start menu, search windows update and open Windows Update settings. Click on the Advanced Options link. On the next screen, change the settings to Notify to schedule restart from the drop-down box. After this, Windows will pre-inform you before scheduling the restart after installing an automatic update on your device. Windows 10 shows a lock screen by default at startup before moving to the login screen. However, there’s no point in having a lock screen everytime you start your PC. Similar to automatic update, turning off lock screen is also not possible with the Settings app. However, you can disable it using Registry Editor or Local Group Policy editor. Read this article if you want to disable lock screen in Win 10. If you have upgraded your PC to Windows 10, you’d have found that the new operating system stores some temporary files from your previous of Windows OS on your C: drive. 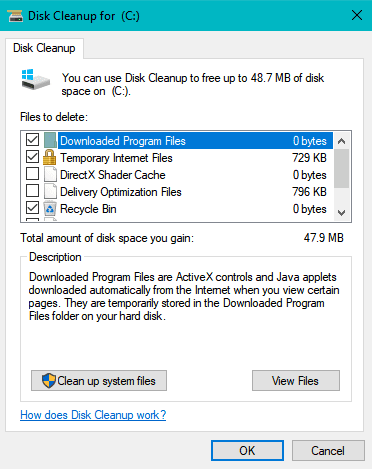 You can run disk clean to delete temporary and unnecessary files to free up space and thus help your Computer to run faster. Press Win + R key to open the Run dialog box and type “cleanmgr” and hit OK. 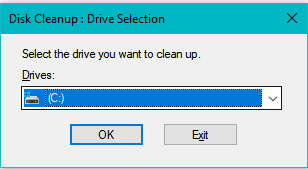 It will open Disk Cleanup and select the C: drive and tap OK. Select the files you want to delete located under “Files to delete” and click OK to delete these files. If you want to free up more space, click on Clean up system files. It will again scan the files that can be deleted. Select them and click OK.
Now, let’s change the Wifi Settings in Windows 10. ”Open hotspots” are inherently insecure and you would never want your computer to connect to other networks without your permission. Therefore, open your Wifi Settings by navigating Settings > Network and Internet > Wifi. Here, you will find Connect to suggested open hotspots is enabled. Just disable it, by moving the slider. Setting up Cortana is the first thing you should do after upgrading to Windows 10. Follow the steps below to set up and turn on Hey Cortana in Windows 10. 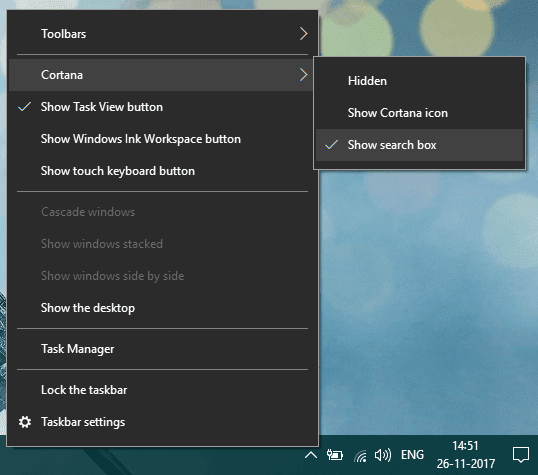 First Step: Right-click on the taskbar, go to Cortana and then select either ‘Show Cortana icon’ or ‘Show search box’ to set up Cortana on the Taskbar. Second Step: Now click on Cortana icon or search box next to the start menu. 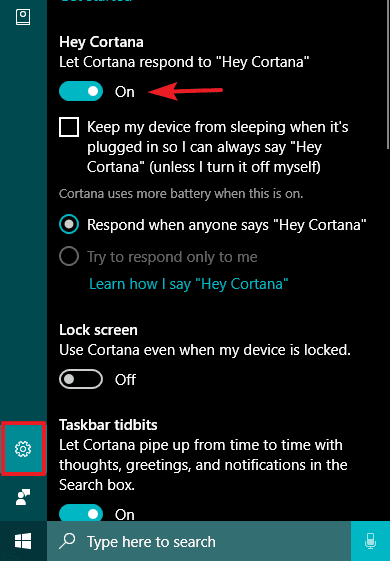 Click the settings icon and turn on “Hey Cortana” and select Respond when anyone says “Hey Cortana”. Now Cortana will respond every time you say ‘Hey Cortana’. Final Step: You can also set Cortana to respond to your voice only by selecting “Try to respond only to me” instead of the above option. Then, Cortana will instruct you to repeat 6 phrases. After doing this, it will recognize your voice and respond only to your voice. You need to to use a Microsoft Account in order to use this feature. By default, Windows 10 doesn’t show all file extensions and even hide some files and folders in File Explorer. 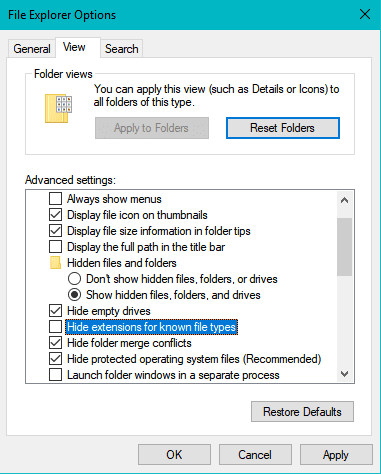 Extensions help to identify what type of file it is but it is disabled by default in Windows 10. You can change these settings using the steps below. Go to Control Panel and switch to view by to Large icons. Then Click File Explorer Options. A new window will open, Switch to View tab. On the Advanced Settings, check hidden files, folders and drives option and uncheck Hide extensions for known file type option as shown in above screenshot. Click Apply and then OK. This concludes the post here. Hope you learned some of the default settings you should change right after upgrading to Windows 10. Hopefully, you learned a thing or two about Windows Settings. If I missed some settings, let me know in the comments below.